Deep learning is widely considered to be the most important method in computer vision fields, which has a lot of applications such as image recognition, robot navigation systems and self-driving cars. Recent developments in neural networks have led to an efficient end-to-end architecture to human activity representation and classification. In the light of these recent events in deep learning, there is now much considerable concern about developing less expensive computation and memory-wise methods. This paper presents an optimized end-to-end approach to describe and classify human action videos. In the beginning, RGB activity videos are sampled to frame sequences. Then convolutional features are extracted from these frames based on the pre-trained Inception-v3 model. Finally, video actions classification is done by training a long short-term with feature vectors. Our proposed architecture aims to perform low computational cost and improved accuracy performances. Our efficient end-to-end approach outperforms previously published results by an accuracy rate of 98.4% and 98.5% on the UTD-MHAD HS and UTD-MHAD SS public dataset experiments, respectively. Simonyan, K., & Zisserman, A. (2014). Very deep convolutional networks for large-scale image recognition. arXiv preprint arXiv:1409.1556. 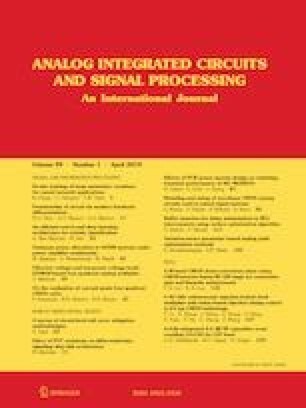 Zang, J., Wang, L., Liu, Z., Zhang, Q., Niu, Z., Hua, G., & Zheng, N. (2018). Attention-based temporal weighted convolutional neural network for action recognition. arXiv preprint arXiv:1803.07179. Wang, P., Liu, L., Shen, C., & Shen, H. T. (2016). Order-aware convolutional pooling for video based action recognition. arXiv preprint arXiv:1602.00224. Zhu, Y., Lan, Z., Newsam, S., & Hauptmann, A. G. (2017). Hidden two-stream convolutional networks for action recognition. arXiv preprint arXiv:1704.00389. Li, Z., Yang, Y., Liu, X., Wen, S., & Xu, W. (2017). Dynamic computational time for visual attention. arXiv preprint arXiv:1703.10332. Zhu, J., Zou, W., & Zhu, Z. (2017). End-to-end video-level representation learning for action recognition. arXiv preprint arXiv:1711.04161. Bernstein, J., Wang, Y. X., Azizzadenesheli, K., & Anandkumar, A. (2018). signSGD: Compressed optimisation for non-convex problems. arXiv preprint arXiv:1802.04434.